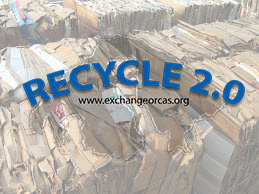 Beginning in May, Orcas Recycling Services/The Exchange will introduce a new recycling program, focusing on cardboard. One of the large 40-yard containers at the “Z-wall” will be dedicated to nothing but clean cardboard. Customers will be asked to separate cardboard from other recyclables and put it in the dedicated bin. By separating it from the rest of the “co-mingled” recycling stream, we can keep it cleaner, and greatly improve the percentage that is recycled, and not contaminated. 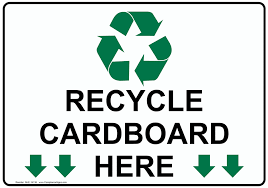 Nationwide, cardboard represents around 30 percent of the recycling stream. We think it’s higher on Orcas, because of online shopping. As part of our “Recycle 2.0” program, ORS/The Exchange is committed to moving towards a recycling system on the island that separates most of the materials from the highly inefficient and expensive co-mingled stream. Plans are in the works to build a baling facility at the Orcas Transfer Station, that will allow us to bale separated materials like cardboard, aluminum and plastic. The new facility will also bring glass crushing back online.